CAPE CANAVERAL — Using a new, uprated main engine for the first time on a rocket of its kind, a United Launch Alliance Delta 4-Medium+ vehicle will soar into space Wednesday night carrying a $566 million Air Force communications satellite. The enhanced RS-68A main engine will power the medium-lift rocket off the pad at Cape Canaveral’s Complex 37 with the Wideband Global SATCOM satellite No. 7 bound for a super-synchronous transfer orbit. The evening’s launch opportunity extends from 8:07 to 8:46 p.m. EDT. Weather forecasters are projecting a 60 percent chance of favorable conditions for launch, with clouds and lightning the primary concerns. 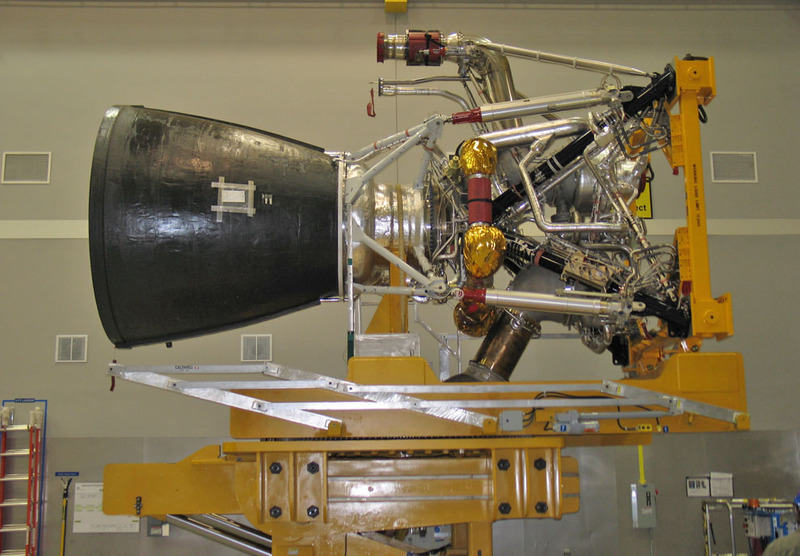 ULA and propulsion-provider Aerojet Rocketdyne have phased out the original RS-68 engines in favor of flying A-models of the powerplant on all future Delta 4 vehicles, no matter the configuration of the rocket. 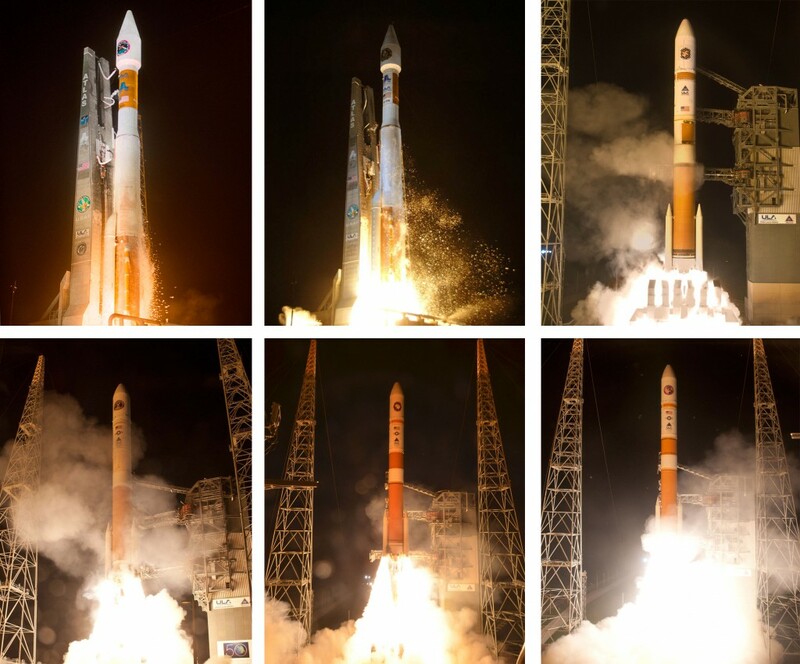 The RS-68A program successfully flew three engines in June 2012 aboard a triple-body Delta 4-Heavy rocket carrying a massive National Reconnaissance Office satellite directly into geosynchronous orbit. That was for the Delta 4-Heavy Upgrade initiative. Now, as part of streamlining construction to make all the internal structures of the Delta 4 first stage the same, no matter if it is flying with strap-on solids or not, the RS-68A’s increase in performance will allow builders to make only one type of core. “We’ve used RS-68A to standardize our Common Booster Core that can support any of our Medium configurations — the 4,2, the 5,2 and the 5,4, while still giving us that lift capability of each of those configurations,” said Ron Fortson, ULA director of mission management. The RS-68A, fed with liquid hydrogen and liquid oxygen, delivers 702,000 pounds of liftoff thrust, an increase of 39,000 pounds over the RS-68 engine. It is considered the world’s most powerful cryogenic engine. The turbomachinery has been modified to enable the engine to operate at a higher thrust level — 108.5 instead of 102 percent — to provide extra performance, and improved combustion efficiency to achieve better miles-per-gallon fuel consumption. The RS-68A will fire for four minutes, lifting the vehicle to the edge of space before completing its burn. Following staging, the cryogenic upper stage performs a 16-minute firing to reach a parking orbit and then a 3-minute boost to reach a super-synchronous transfer orbit stretching to 36,000 nautical miles, tilted 24 degrees to the equator. Deployment of the 13,000-pound payload occurs over Madagascar some 42 minutes after liftoff. See our timeline of the rocket’s ascent. 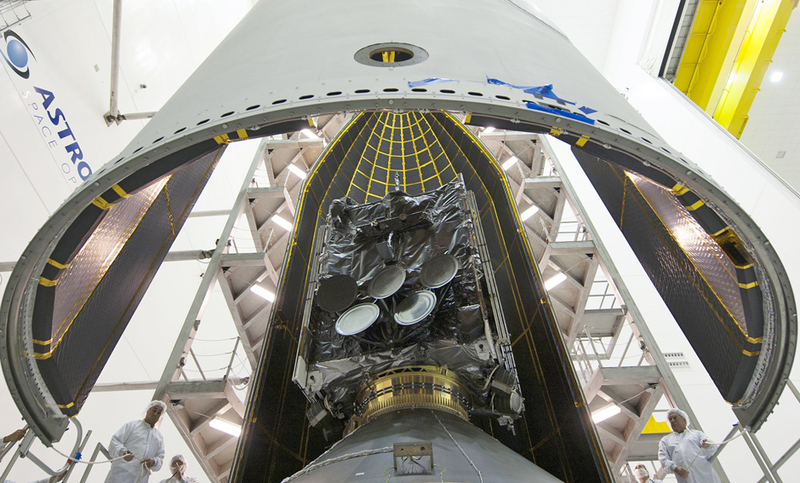 This will be the first WGS launch since August 2013. Ten WGS satellites will be orbited in the Pentagon’s efforts to replace the aging Defense Satellite Communication System with new technology. Each WGS has 10 times the capacity of a DSCS satellite, allowing users to process and receive data quicker. 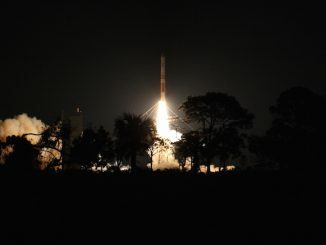 “WGS 7 is the seventh of ten high-capacity military communications satellites providing vital service for our tactical forces that rely on WGS for connectivity to the Defense Information Network,” said Col. David Leach, USAF 5th Space Launch Squadron commander. WGS No. 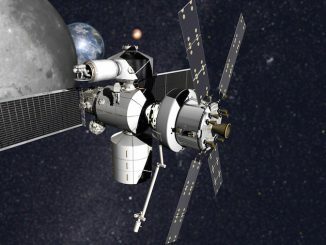 7, a Boeing-built communications spacecraft, will serve troops, ships, drones and civilian leaders. Its the second batch of WGS satellites made after the original half-dozen was manufactured and there was a gap in production. “This constellation provides wideband communications to our Soldiers, Airmen, Marines and international partners through broadcast, multi-cast, point-to-point communications anytime, anywhere around the world,” said Robert Tarleton, head of the Air Force’s Military Satellite Communications Directorate. “ULA is honored to be the launch provider for the WGS constellation,” said Fortson. After circularizing its orbit and undergoing checkouts, the new satellite will enter service from geosynchronous orbit 22,300 miles above the equator in December or January. The exact parking spot remains to be determined. It is outfitted with Ka- and X-band communications packages to be the Department of Defense’s highest capacity communications satellites. “Our forces need communications. It’s a fundamental need and it simply has to be there. More and more, WGS is what puts it there,” said Rico Attanasio, Boeing director of Military Satellite Communications. 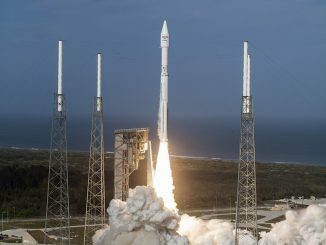 The launch is planned to occur just seven says after ULA’s last flight, which successfully placed the GPS 2F-10 navigation satellite into orbit for the Air Force using an Atlas 5 rocket. “We focus on one launch at a time,” said Col. Alvin Burse, the Air Force’s WGS 7 mission director. 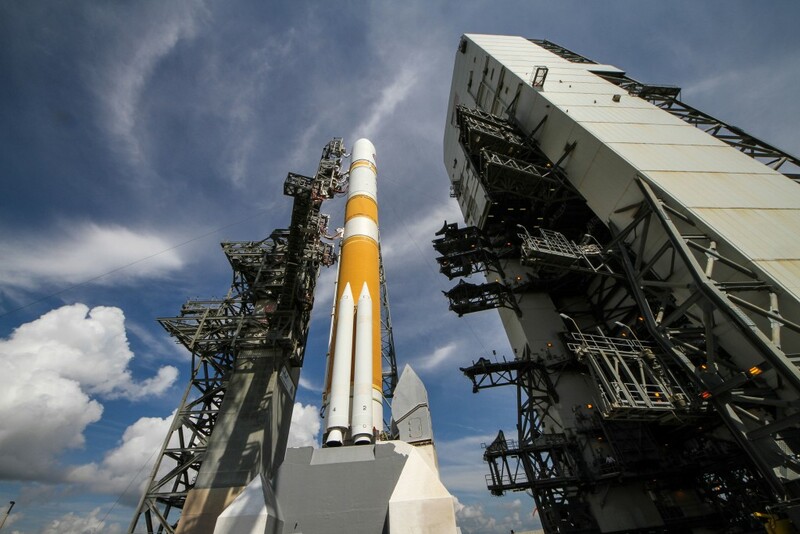 This will be the 372nd Delta rocket launch since 1960, the 30th Delta 4 rocket since debuting in 2002, the fifth time a Delta has launched a WGS communications satellite, ULA’s 98th mission since 2006 and the company’s seventh this year.